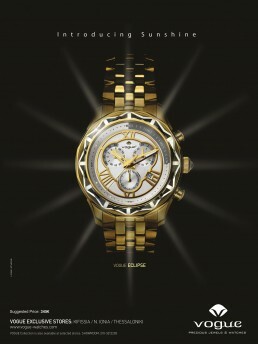 Print campaign for Vogue Precious Jewels & Watches. 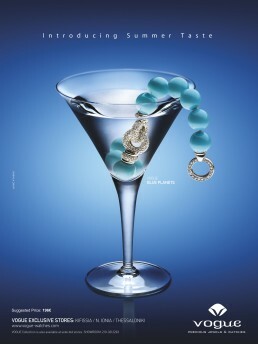 We where assigned by Mullen Lowe Athens agency to create the key visuals for a campaign and design their print ads. We made photorealistic Adobe Photoshop drafts and used them to guide the Photographer and also supervised the photo shoot.